The FUFA Big League will resume on Thursday afternoon with 8 games played across the country. At Wankulukuku, Elgon Group Leaders Wakiso Giants will be away to struggling Entebbe United. The game pits two very experienced coaches in the game with Ibrahim Kirya in Wakiso’s dug-out while Allan Kabonge will be hos opposite number. Kirya who has been coaching in the top tier accepted the down grade into the Big League this season while Kabonge has over and over again master-minded promotions to the StarTimes Uganda Premier League. However, things are not looking good for Kabonge this time round as he has managed only one win so far this season. On the contrast, Kirya is ridding high at the moment as his Wakiso side are still unbeaten after 9 games. “We expect a tough tie against a side that tasted premier league football last season. “Despite that, our target before every game is to win and we shall strive to pick all points. “It will not be a matter of life or death. “It is an ordinary match that we have prepared for well like the rest of the games we have played. “We shall approach the game very cautiously because we need maximum points. Wakiso who are currently leading the standings in the Elgon Group will have star-defender, Hassan Wasswa Dazo return after serving a one match suspension. However, they are still without Isaac Ntege who has just returned to training. In the other Elgon Group matches, newly promoted Light S.S plays host Steven Bogere’s UPDF at the Amuria High School play ground. Other newcomers in the Big league, Nebbi Central face wounded Kyetume in the West Nile district of Nebbi. Meanwhile, Doves All Stars who are second on the log, a point behind Wakiso Giants hosts Bukedea Town Council at the Green Light Stadium in Arua. In the Rwenzori Group, Edward Golola’s coached Kitara FC face Ntinda United at the Kigaya play-ground in Hoima, Bumate United face Kira United at Christ High School play-ground in Bundibungyo. 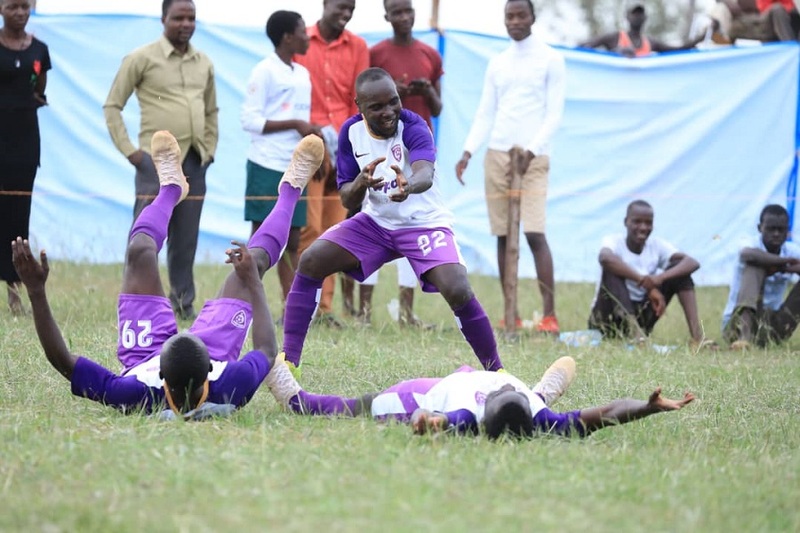 Rwenzori leaders Kiboga Young, a side coached by Felix Kawooya Ssekabuuza entertains Mark Twinamatisko’s Dove at the Bamusussuta SS Play-ground, Kiboga while second placed Proline visit Kansai Plascon at the Bishops S.S play-ground in Mukono.